The forest industry is back in the investment phase, and Peikko has had this industry since 1980s in our focus. The renewable materials company Stora Enso is investing into a EUR 70 million new polyethylene (PE) extrusion coating plant and Automated Roll Warehouse (ARW) at Imatra, Eastern Finland. The Automated Roll Warehouse has extensive storage system requiring solid fundaments. 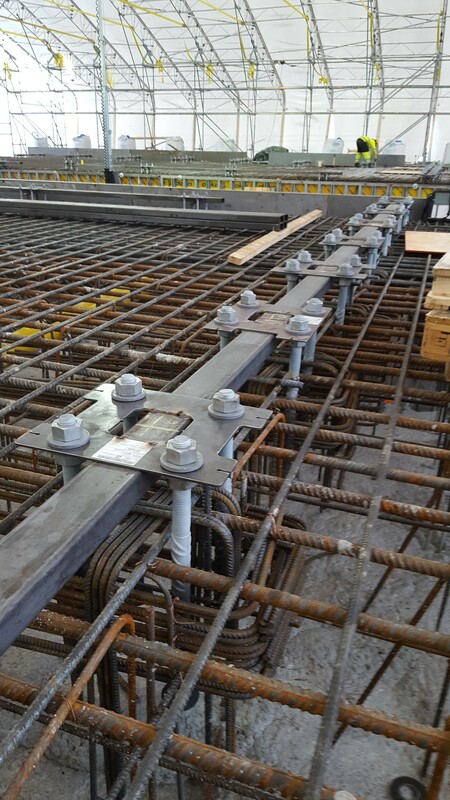 Peikko is very pleased to suply an extensive amount of anchoring solutions, including anchor bolts and installation templates for the project. Please have a look at our ECO Galvanized bolts treated in-house in our Lahti factory. Due to the innovative production technology a very economical solution whenever galvanized surfaces are required. Also the precision plasma-cut PPL Anchor Bolt Installation Templates provide a precise and secure support for bolts assemblies.